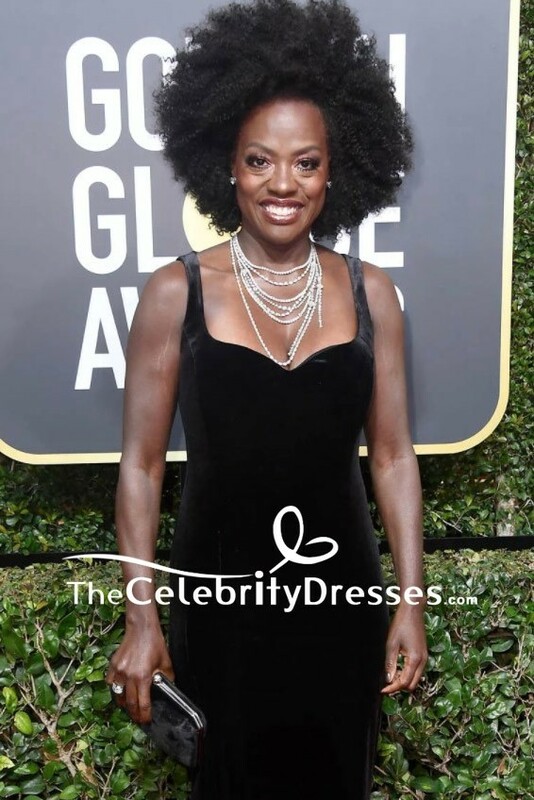 Viola Davis, 52, wore black in solidarity for the Time's Up movement as she arrived at the Beverly Hilton Hotel for the 2018 Golden Globes in Los Angeles.She stole the spotlight as she donned a sleek sleeveless velvet long gown. 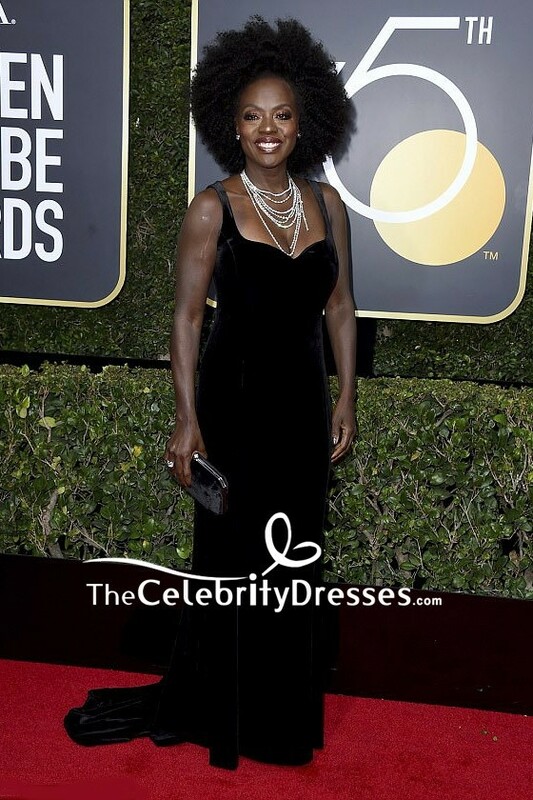 Q: is this dress available in a dark gray? Also does the velvet stretch? A: Dear heather, Sorry, the dark gray color is not available for the velvet fabric. The velvet doesn't have the stretch, but we can make it with the stretch lining. Thank you for your interest.